Robert Swan, who skied to the SouthPole 30 years ago, talks on Henry’s site about safety while skiing on Antarctica. Solo skier, Luke Robertson, and Carl Alvey and his team, Emma Kelty and Khai Nguyen, started at Hercules Inlet. Devon McDiarmid and his team, Stew Edge, Mostafa Salameh and Shahrom Abdullah were still at Union Glacier yesterday. Michele Pontrandolfo’s latest position and Vinson summits reported. December 2-5, Day 20-23 wrap-up: u2028In white-out conditions, Worsley was traveling down-hill, no idea of the degree of the slope, the sled overtook him and pulled him over. Almost twice his weight, it dragged him for 20 yards, flipped over twice and came to rest upside down. Fortunately all the fuel canisters and Henry were fine. His big regret with the bad weather is that he could not see all of the mountains there. Henry explained how he charge his electronics: he has a [HET P50] battery that he charges with a solar panel and then uses the battery to charge all his devices. The sun came through and weather turned to “glorious”, which made navigation easier. The soft surface made for low milage, which made his heart sink into the snow”. On Day 21 Worsley gave a positive medical report. Fellow Brit, Robert Swan talked about safety on Henry’s website and pointed out his “faultless” planning and preparation, and the danger of crevasses. Relatively slow going uphill on the first day, Luke reported. He is carrying all he needs for the whole expedition in his 130kg sled. The surface is covered with thick powder due to the huge snowfall the past week, “Great for back-country skiing – not so for man-hauling,” he added. After waiting some time in Punta Arenas, Doug has arrived at Union Glacier yesterday, where he spent the afternoon setting up camp, sorting gear, and checking systems. If all goes well, I might be able to fly to Hercules Inlet today to get underway, he reported. Bad weather at their start point at the Ronne-Filchner Ice Shelf, prevented the team from flying from Union Glacier yesterday. Judging at his positions, still no wind for kiting, only slow going while sledge-hauling heavy sleds. 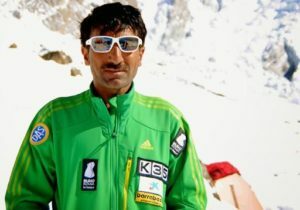 The team skied about 2 hours and cover about 2.1 nautical miles (x1.852 = 3.89km), reported Khai. Although the snow was heavy, as Luke reported, they had a “fantastic” day, both Emma and Khai reported. 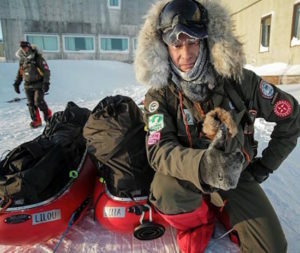 The difference with their expedition and Luke’s, is that this team has only a part of their food and fuel in their sleds bacause they will get resupplies along the way. See above for Leg 1, Coast to Pole. 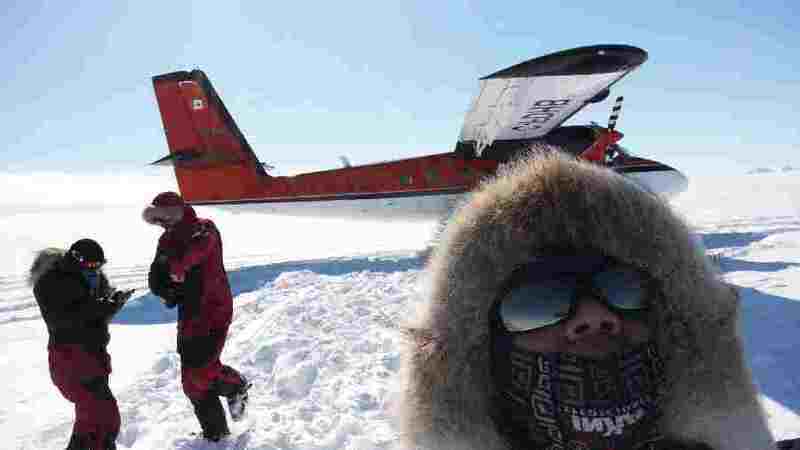 ANI reported nine guests, accompanied by ANI guides Scott Woolums, Tre-C Dumais, and Zac Poulton on the summit of Vinson. 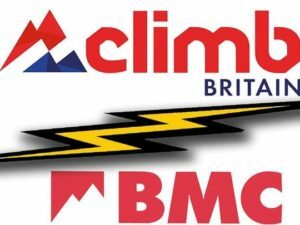 Madison Mountaineering reported to have made a carry up the fixed lines from Low Camp to High Camp. Vinson Base Camp (VBC) is located on the Branscomb Glacier 95 miles (151km) from Adventure Network/ANI’s main camp, Union Glacier. The geographic location is 78º32’S, 086º00’W at an elevation of 6900ft (2100m) above sea level. The flight from Union Glacier to VBC with a Twin Otter takes about 30 minutes across the Sentinel Range in the Ellsworth Mountains. Low Camp is located at 2750m / 9000ft. The ascent from VBC to LC is 650m / 2150ft, takes 4-6 hours over a distance of 9 km / 5.5 miles. High Camp is located at 3700m / 12,400ft: A 1020m / 3350ft ascent from Low Camp, 6-8 hours, 3km / 1.8 miles, 1200m fixed ropes, up to 45° slopes. Summit at 4892m / 16,160ft (feels like 5500m): 1120m / 3670ft ascent from High Camp, 14km / 8.75 miles return.